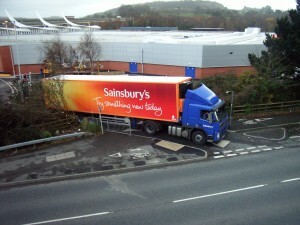 A spokesman for the supermarket chain said, “Sainsbury’s should in no way be listed as high-risk compared to others. It is meaningless to look at pension liabilities alone; rather it is about the overall pension deficit – ie the assets less liabilities. However, their pension liability still measures a massive £6.9 billion, even greater than the company’s entire market value which slipped to £6 billion in 2014. Sainsbury’s is not alone in the industry in having this problem, with Tesco’s pension deficit increasing a staggering 34% in just the last year to £3.2 billion before tax. The truth is that many final salary pension schemes, in both the public and private sector, are underfunded. This casts into doubt their ability to meet funding obligations for the scheme’s members as they enter retirement. It is this frightening reality that has led ever increasing numbers of people with these sorts of schemes who are now living outside of the UK to look at transferring these pensions into Qualifying Recognised Overseas Pension Schemes (QROPS). Even if transferring a final salary pension scheme into a QROPS is the right move, many who would like to take advantage may soon be blocked. There is a lot of talk that the UK authorities will prevent transfers from certain public sector defined benefit schemes as they fear a huge exodus will undermine the affordability of these schemes. Transferring out of final salary schemes can often be highly beneficial and getting a Transfer Value Analysis System (TVAS) will show a comparison between the income the scheme should generate in retirement and what might be possible after a transfer.